This case is about the patent of a collapsible structure, specifically pop-up goals available for sale at Target. The producer of the goods is a United Arab Emerites based corporation called Ninja Corp.
Target Corp. and Franklin Sports, Inc. Plaintiff Patent Category Corp. (“plaintiff” or “PCC”) owns the rights to U.S. Patent No. 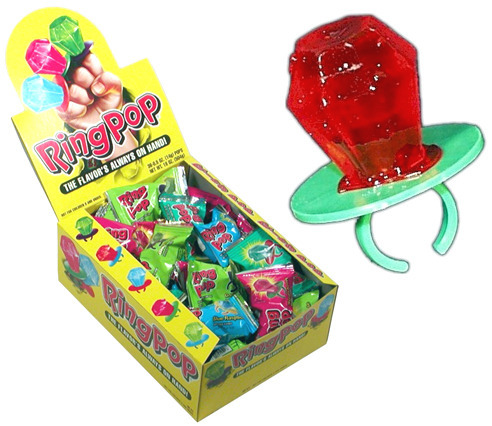 6,266,904 (“the ‘904 patent”) issued on July 31, 2001, and U.S. Patent No. 6,604,537 (“the ‘537 patent”), issued on August 12, 2003. On November 15, 2006, plaintiff filed the instant suit against defendants Target Corp. (“Target”) and Franklin Sports, Inc. (“Franklin”) alleging that defendants are infringing plaintiff’s patents. Defendant Franklin is a distributor of at least fifteen models of collapsible, spring-form soccer goals (“Pop-Up Goals”), which plaintiff alleges infringe its patents. [FN1] Franklin purchased these accused products from The Ninja Corp. UAE (“Ninja“). 2 Id. Defendant Target Corp. (“Target”) sells Pop-Up Goals to consumers pursuant to an agreement with Franklin. FN1 At the hearing held herein, the parties provided the Court with two examples of the accused products. Exhibit 1, the Dora the Explorer Pop-Up Goal, is accused of infringing the ‘537 patent only. Exhibit 2 is accused of infringing both the ‘537 patent and the ‘904 patent. The Court will refer to these exhibits in deciding the issue of infringement, or non-infringement as the case may be.2 On March 9, 2007, Ninja, a corporation organized under the laws of the United Arab Emirates, filed suit against plaintiff in the United States District Court for the Southern District of Texas, seeking a declaration that its products do not infringe the ‘904 and ‘537 patents, and that these patents are invalid. The action was then transferred to the United States District Court for the Central District of California in September 2007, and assigned to this Court as a case related to the present action. Recall the connection of multicultural cartoons associated to this Ninja word. Here it is a UAE corporation, sending children’s toy products for consumer distribution at Target. It is perhaps merely a coincidental connection but in the context of this rhetorical study of words, it is a notable that there is this seemingly unnecessary connection of the Dora character. 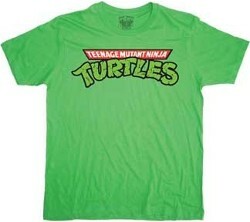 Recall Teenage Mutant Ninja Turtles role in Federal Court ruling the general idea of multicultural cartoons was not protected by copyright. This actual patent case about the Pop Up Goals remained unresolved at the end of the Courts opinion. The Court denied all the summary judgment motions because of factual issues about obviousness; whether there is a “continuous frame member” and the effect of a prior art on “flexible frame”. I dunno. They look obvious. Ha just kidding. I have no idea. This NinjaLaw post is about a case that has no real reason to include “ninja”. It is a wonderful example of how characters become metaphors used in the law. Here ninja is a mere throw-away reference but it helps to firmly root the word in a world of computer programming. This case involves a type of wood truss design software that is alleged to violate copyright by similarities in user interface. Presumably the ninja reference is about a specific software but I am not sure which one. MITEK HOLDINGS, INC. and MITEK INDUSTRIES, INC., Plaintiffs, v. ARCE ENGINEERING CO., INC., Defendant. Judge Hand’s abstraction test is not as easily applied to computer programs as it is to literary works, such as books or films, because the mediums are so different. Unlike a computer program, the copyrightability of a film applies solely to its “user-interface,” that is the images and sounds the viewer perceives. In contrast, a computer program has two distinct elements of expression – the literal aspects, including the source code and object code, which tell the computer what to do, and the nonliteral aspects, such as the sights and sounds the program generates on the screen. The Gates Rubber case sets forth a uniform, six-part abstraction test for breaking down a computer program’s literal elements. Gates Rubber, at 835. However, this test is not helpful for this Court’s analysis, which focuses on the nonliteral elements of the program. The Fifth Circuit in Engineering Dynamics provided some guidance for the abstraction of nonliteral elements of a computer program. The court found that there is a “spectrum” of copyrightable material in nonliteral elements of computer programs, ranging from the ‘blank form’ that epitomizes an uncopyrightable idea, through a “high expression, like that found in some computerized video games.” Engineering Dynamics, at 1344. The court found that “in the middle of the abstraction spectrum sit user interfaces such as that of Lotus 1-2-3, whose menu structure, including its long prompts, contains numerous expressive features.” Id. at 9-10, citing Lotus I, 740 F. Supp. at 65-66. Thus, the distinctive garb of a computer-generated Ninja will be afforded the highest copyright protection, while a simple computer prompt asking the user to fill in the blank warrants the least. In the middle, are programs which require the input of significant amounts of information in a common, computer format. The Court finds the programs at issue in this case fall into this middle range of expression. Once a program has been broken down into its abstract elements, the next step is to “filter out” the unprotectable elements to obtain a core of protectable expression. In addition to ideas, copyright protection is not afforded to processes, methods or scientific discoveries. Other materials not subject to copyright include facts, information in the public domain, and scenes a faire, i.e., expressions that are common to a particular subject matter or are dictated by external factors. Engineering Dynamics, at 1343. The Court decided that the elements of this software were not protectable under copyright. This case is important to early computer law and is often mentioned along with the Lotus v Borland decision. It is interesting to note that this court finds the distinctiveness of a ninja’s garb to be of the highest copyright protectability while meanwhile contemporaneous courts used the word as a descriptor: See NinjaLaw posts about Ninja Pants, and Ninja hood, and ninja-style motorcycle. This 1990 opinion by Judge Alex Kozinski, is about security interests in copyrights of movies during a bankruptcy. District Court Case No. CV 90-1083-AK. National Peregrine, Inc. (NPI) is a Chapter 11 debtor in possession whose principal assets are a library of copyrights, distribution rights and licenses to approximately 145 films, and accounts receivable arising from the licensing of these films to various programmers. This appeal from a decision of the bankruptcy court raises an issue never before confronted by a federal court in a published opinion: Is a security interest in a copyright perfected by an appropriate filing with the United States Copyright Office or by a UCC-1 financing statement filed with the relevant secretary of state? 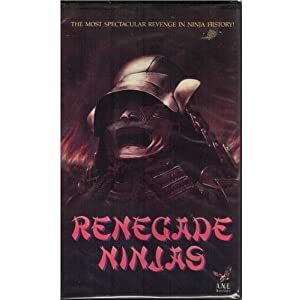 Cap Fed has stipulated that there is at least one such film, the unforgettable “Renegade Ninjas,” starring Hiroki Matsukota, Kennosuke Yorozuya and Teruhiko Aoi, in what many consider to be their career performances. The judgment of the bankruptcy court is reversed. The case is ordered remanded for a determination of which movies in NPI’s library are the subject of valid copyrights. However, don’t rely on this case law. Though cited and followed in a number of subsequent cases, it has also been questioned, criticized and distinguished by a variety of others. One 2006 case in particular, from New York, Gasser Chair Co. v. Infanti Chair Mfg. Corp., suggests that the law from the above discussed case, In re Peregrine, was superseded by statute when “the revised Article 9 of the UCC was enacted in 2001”.